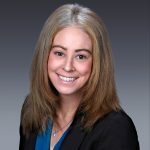 Sara Bagheri joined Peterson · Bradford · Burkwitz in 2017. Ms. Bagheri defends public entities, medical professionals, and medical organizations against employment, civil rights, and professional negligence claims in administrative proceedings and civil actions. Prior to attending law school, Ms. Bagheri was in the Banking industry for over 10 years. Ms. Bagheri gained valuable legal experience working in the field of personal injury prior to joining the firm. Ms. Bagheri graduated from California State University of Northridge with a Bachelor of Arts in Psychology. She earned her Juris Doctorate from University of West Los Angeles School of Law where she received many Witkin Awards for Academic Excellence. 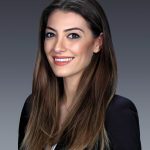 Ms. Bagheri is licensed to practice before all courts in the state of California and before the United States District Court for the Central District.